A young man shaken by a woman's death at a train station eventually elicits a confession. The debut feature of Kyoshi Sugita, a protege of Makoto Shinozaki, Kiyoshi Kurosawa, Shinji Aoyama and others. * Please note that the screening schedule, Q&A and Greeting from the Stage are subject to change. The stage appearances of guests and scheduled closing time of the show may change according to circumstances. * Advance Tickets can be purchased by telephone/internet and from convenience stores (Seven-Eleven, CircleKSunkus, Lawson) and playguide on First-come basis. * Please be forewarned that the number of Tickets at the Door is limited. Tickets at the Door can be only purchased two tickets per person. You are kindly requested not to form a queue before the theater in the late-evening. Born in Tokyo. 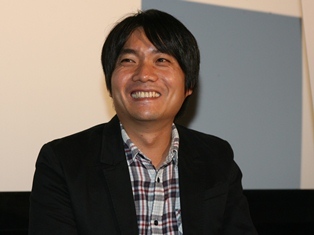 Studied at Rikkyo University under Makoto Shinozaki, and The Film School of Tokyo where he directed graduation short Tsuki no Aru Basho(2002). 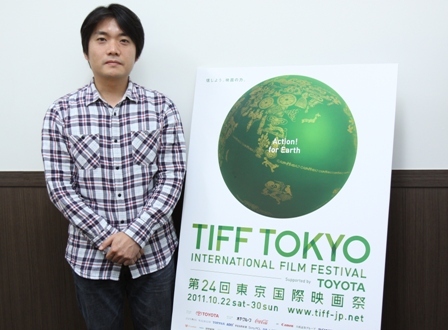 Assistant director to Shinozaki, Kiyoshi Kurosawa, Shinji Aoyama, Kazuyoshi Kumakiri and others. Directed making-of documentary for Akihiko Shiota's Canary(2005). Acclaim for his Kawa no Koibito(2006) led to this film's production.